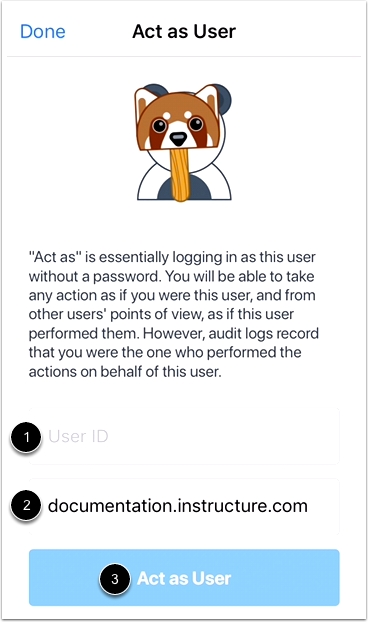 How do I act as a user in the Teacher app on my iOS device as an admin? 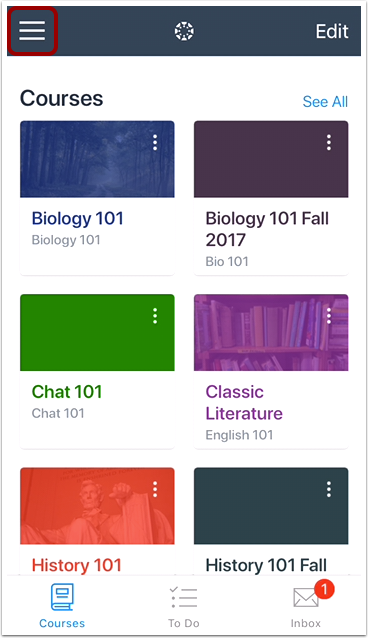 If you are an admin, you can act as instructors in the Teacher app and take any action in the app as if they were the instructor. Only account-level users with the Act as users account permission can act as other users. This permission does not apply to sub-account admins. Tap the Act as User link. 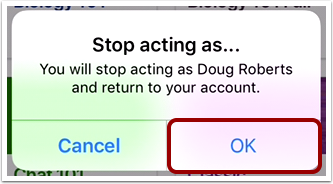 Note: If the Act as User link is not available in your User Menu, you do not have the permission to perform this action. In the User ID field , enter the Canvas ID number for the user. The domain will already be populated for you . Then tap the Act as User button . View the Teacher app as the user. 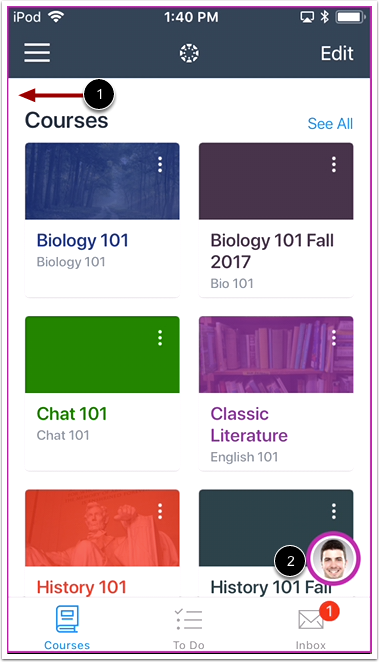 A magenta border  and the user's Profile icon  will display on every page while you are acting as the user. To stop acting as user, tap the user's Profile icon. To confirm and return to your account, tap the OK button. Previous Topic:What Teacher app options can I manage from my iOS device settings? 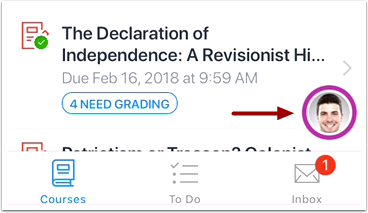 Next Topic:How do I view Courses in the Teacher app on my iOS device? Table of Contents > Navigation > How do I act as a user in the Teacher app on my iOS device as an admin?